Because of their incredible success at Ars Nova, Scott Sheppard and Jenn Kidwell, creators and stars of Lightning Rod Special’s Underground Railroad Game, will not be performing their piece in residence at Single Carrot Theatre in March. While disappointed that this excellent piece will not be coming to Baltimore audience’s this year, Single Carrot Theatre looks forward to bringing the show to Remington in the future. 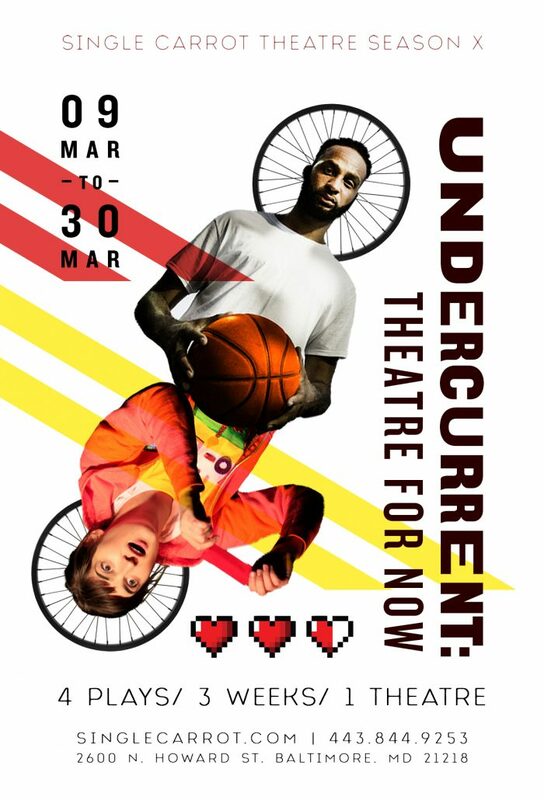 Underground Railroad Game will be replaced by Undercurrent: Theatre for Now, a festival of four one-man/woman shows, presented in rep over the course of three weeks. Each piece gives voice to a subject, point-of-view, or experience, which is essential in today’s socio-political climate. Artists engage directly with the audience on issues of social, racial, and cultural significance, creating space for continuing conversations on complex problems.